Do you own property in Cancun or the Riviera Maya? 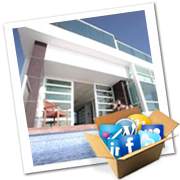 Do you want it to generate revenue when your not visiting? We can help! 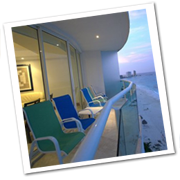 CheapCancunRentals.com is the most cost effective way to market your Mexican rental property. 1 Year Standard Listing – Only $120.00! 6 Months FREE! – No payment, no obligation! 1 Year Premium Listing – Only $150.00! We guarantee that during the first year of your first one-year membership, you will receive paid rental bookings from your listing equal to at least 10 times the cost of membership. This guarantee applies to your first one-year listing. If you do not receive bookings equal to 10 times your membership fee from your first one year of membership, notify CheapCancunRentals.com, and your membership will be EXTENDED six months FOR FREE. This guarantee does not apply to timeshare units OR to properties offered for a single rental time period. It also does not apply to listings that do not display at least the five photos included in a basic membership during a minimum of 11 of the 12 months that the ad is online OR to listings that are not active the entire year.